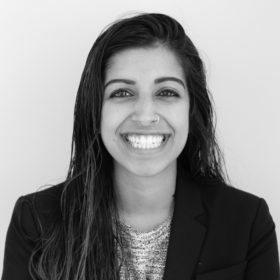 Asha Thanki is a senior analyst at Hamilton Place Strategies, where she works with a variety of clients to develop and implement data-based communications strategies. Asha was previously an intern at HPS, working primarily on trade and trade law. Prior to HPS, Asha interned with BBC Washington and The Nation as an editorial assistant, and was a fellow at the Lannan Center for Poetics and Social Practice. In addition, she was the Managing Editor of the Georgetown Journal Of International Affairs. In the more political sphere, she worked as an intern in both the district and Washington, DC offices of Senator Claire McCaskill, and interned at the Embassy of New Zealand, where she focused on trade negotiations and public affairs. Originally from St. Louis, MO, Asha graduated from Georgetown University’s School of Foreign Service with a B.S. in Foreign Service, majoring in International Political Economy and with a certificate in International Development. Her thesis focused on the impact of the gender of executive office on women’s and human empowerment through a time-series analysis.